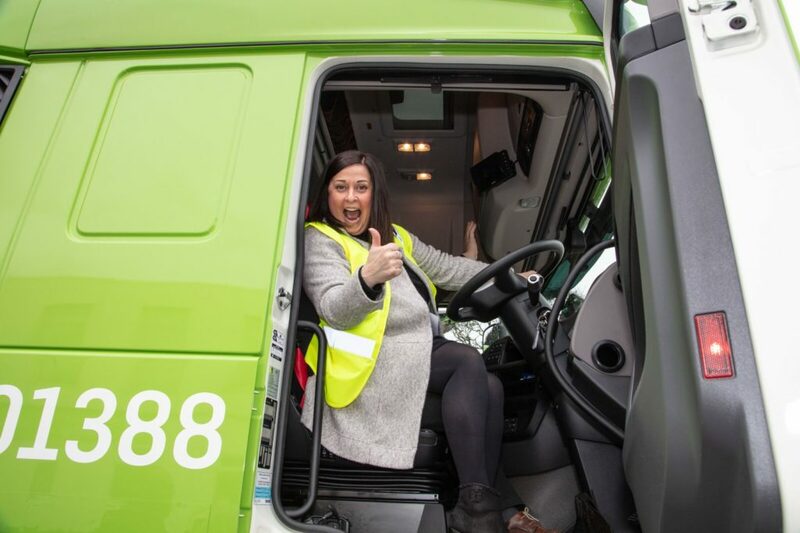 EWRG’s recent event, held to launch its fleet of nine Electrical Waste Recycling Trucks, was a great success – with an extensive list of VIP customers and suppliers from across the UK, plus appearances by the Deputy Mayor and Mayoress of Huddersfield (and a hog roast!). EWRG have driven investment towards ensuring the fleet are up to date with vehicle emission standards to meet inner city emission requirements. The new fleet of trucks are packed with the latest driver aids, five camera safety aids with real-time recording, plus pedestrian and cyclist safety devices. They are also monitored in real time to ensure driver efficiency, measuring braking, acceleration and idle times. With the startling news that the UK creates 1.4m tons of waste in a year and ranks sixth in the world in terms of total amount, the fleet network has never been more important. EWRG will provide an invaluable service across the whole of the UK to dispose of Electrical Waste safely, and dramatically reduce these statistics.